Unedited: Should Your Kitchen Appliances Be Pieces of Modern Art? 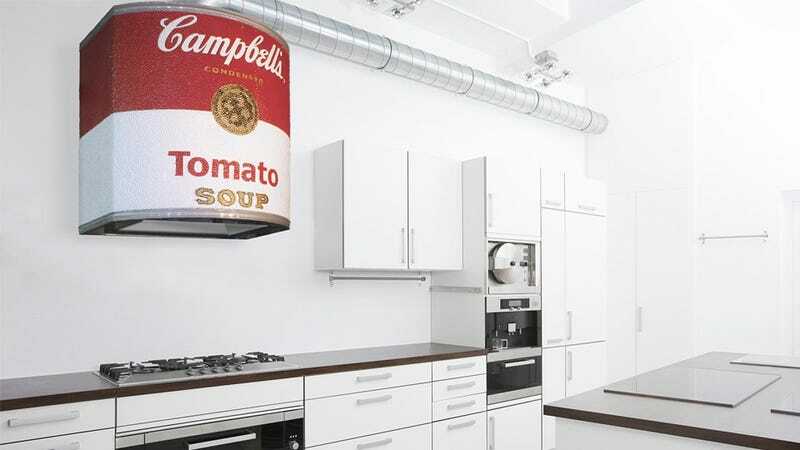 A metalworks shop in Savannah, Georgia, created this custom one-of-a-kind rangehood for a client, turning one of artist Andy Warhol's most recognizable pieces into a kitchen appliance that serves as the focal point for the entire room. Joe just saying, anything can be the focal point of your kitchen. Why not a pop art icon? So what do you think? Is this mashup of pop-art and utilitarian gadgetry a win, or a complete eyesore that will have people questioning your design sensibilities?